I studied Medicine at the University of Barcelona (UB) from 2000 - 2008 and then went on to specialise in Paediatrics at Sant Joan de Deu (SJD) Barcelona Children’s Hospital from 2008 - 2012. During my third year of residency I joined the Paediatric Infectious Diseases Section at the same hospital, with doctors Fortuny and Noguera. I then began to study for my PhD in Medicine, which I completed in October 2015 with the presentation of my thesis on “Kidney function in paediatric patients with HIV. Study of new biomarkers and their possible relationship with inflammatory markers of infection”. In 2015 I had the opportunity to do a Master’s in Paediatric Infectious Diseases and Primary Immunodeficiency at the Autonomous University of Barcelona and Hospital Vall d’Hebrón. This finally allowed me to join the Allergy and Clinical Immunology Department as a consultant in October 2015, and that is where I currently practice, both looking after patients and conducting research. Epidemiological study of the incidence of acute respiratory infection (ARI) caused by respiratory syncytial virus which requires hospitalisation in paediatric populations with primary immunodeficiency (PID). SENTIR:SCI-SPAI-2015-01 Study. 2015, co-investigator. Grifols, GTI 1503. An open-label, multi-center single-arm trial to evaluate efficacy, pharmacokinetics and safety and tolerability of IGSC 20% in subjects with primary immunodeficiency. 2015, co-investigator. Modulating factors of primary immunodeficiency susceptible to severe infections from intracellular bacteria in children. 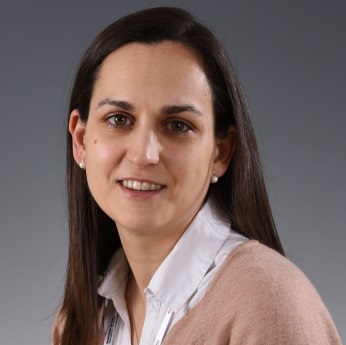 Principal investigator: Laia Alsina. 2015, co-investigator. Grant from the Spanish Health Research Fund (FIS) 15/01094. Genomic studies of susceptibility and severity in pneumococcal infection in children and adults. Principal investigator: Carlos Rodriguez Gallego. 2016, co-investigator. FIS GRANT PI16-00759. Study of cells with a regulatory role (regulatory B and T) in paediatric patients with immune-mediated diseases, and the impact of the use of immunomodulatory drugs. 2017, co-investigator. Grant from the Spanish Society of Clinical Immunology, Allergy and Paediatric Asthma (SEICAP), 2017. Lecturer on the Master’s Degree in Allergy and Clinical Immunology at the University of Barcelona and SJD Barcelona Children’s Hospital from 2016 up to the present. Speaker on the Annual Session on the “Course on Advances in Clinical Immunology and Allergy”, 2015-2017. Speaker on the Annual Course on Primary Immunodeficiency Disorders. The Catalan Paediatrics Society (SCP), 2015.